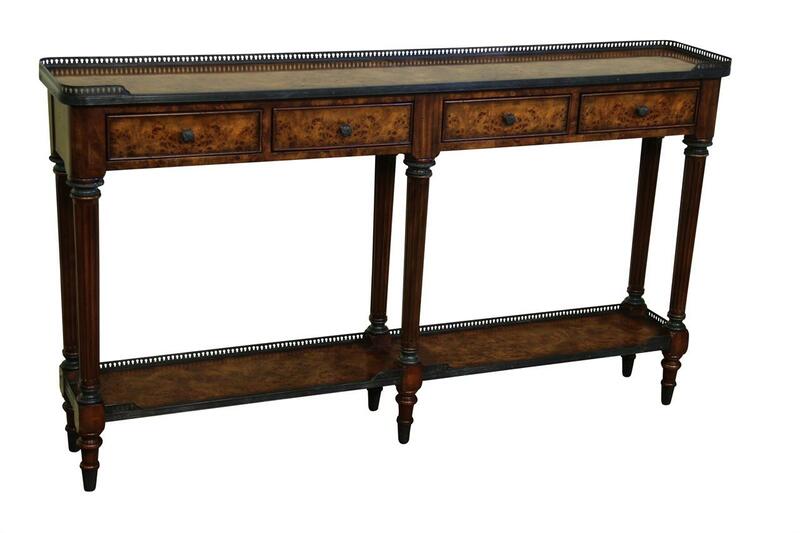 Description: Narrow console table. 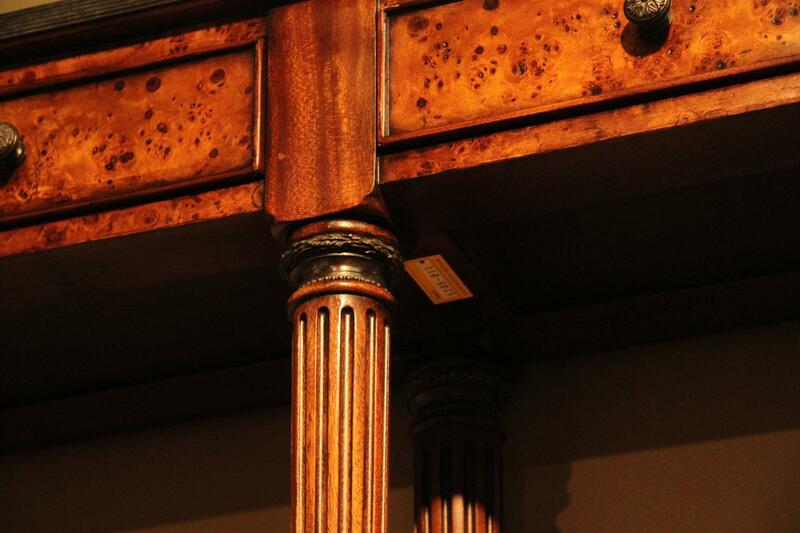 Burl walnut and acacia console table on 6 turned and fluted legs. 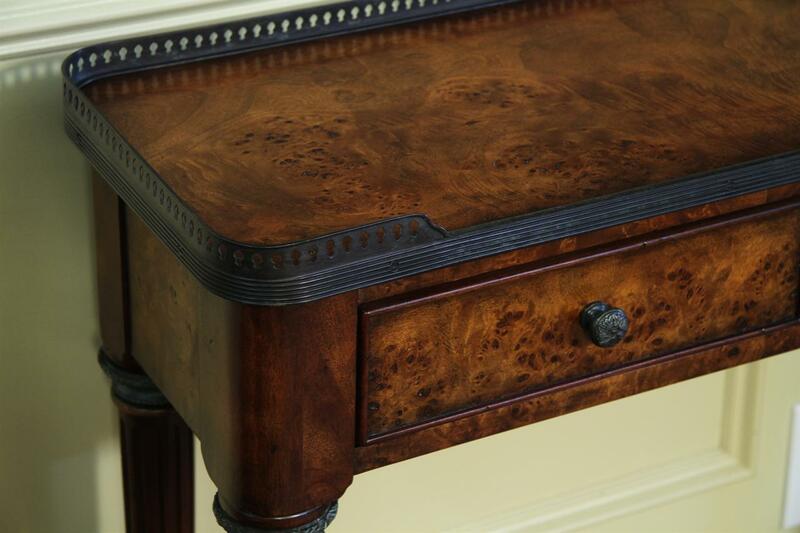 Brass mounted galleried top and undertier. 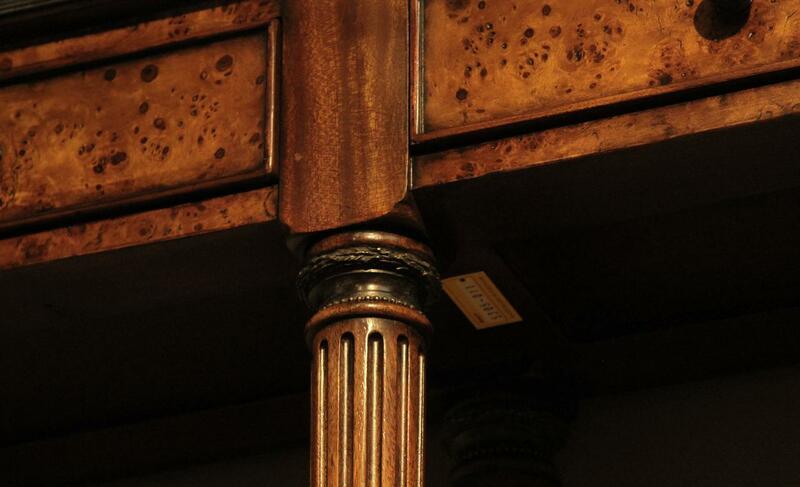 Legs are also capped in brass. 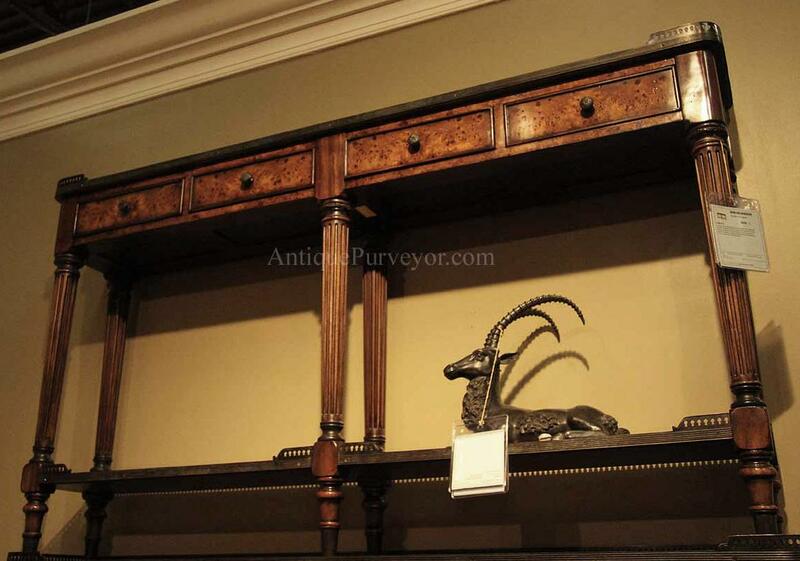 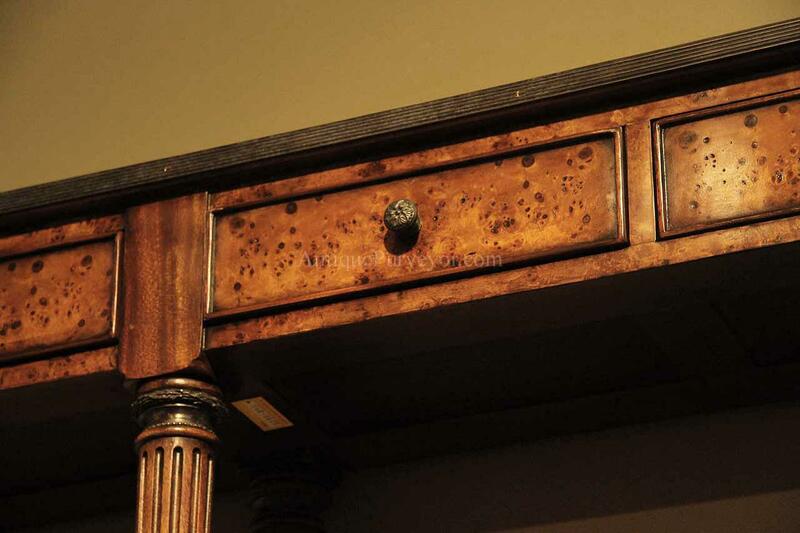 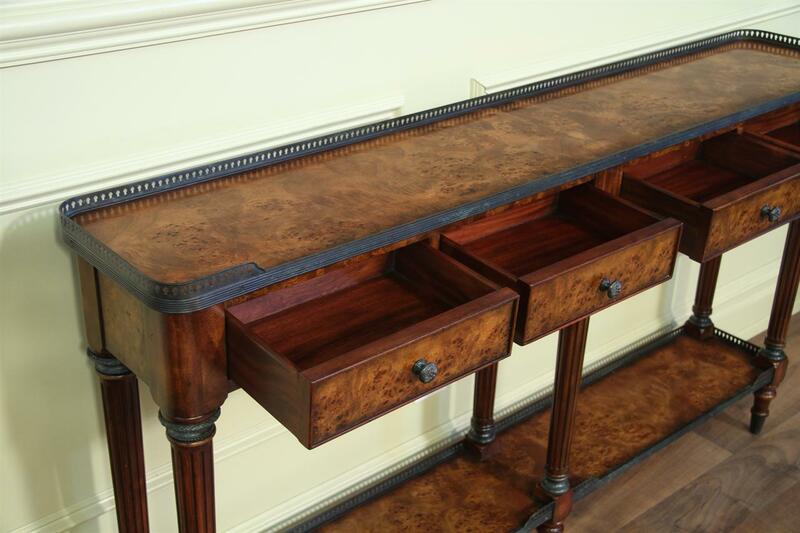 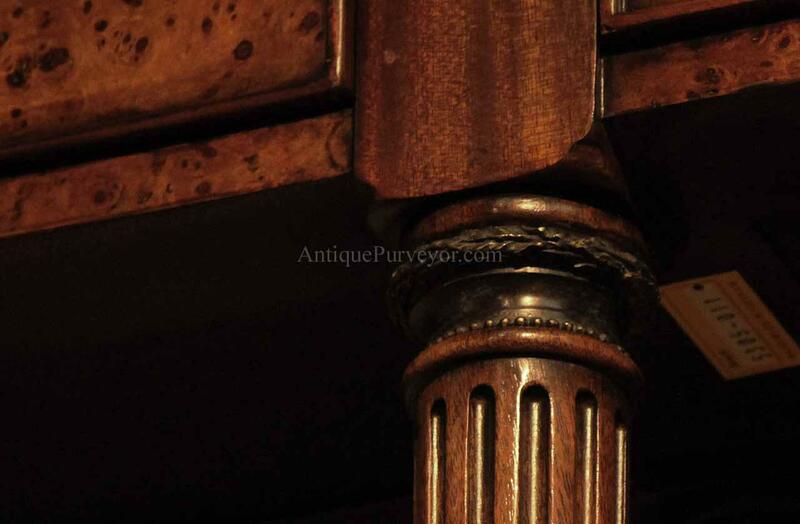 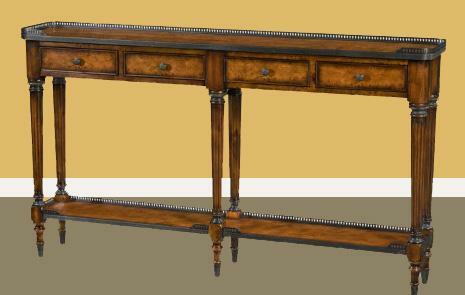 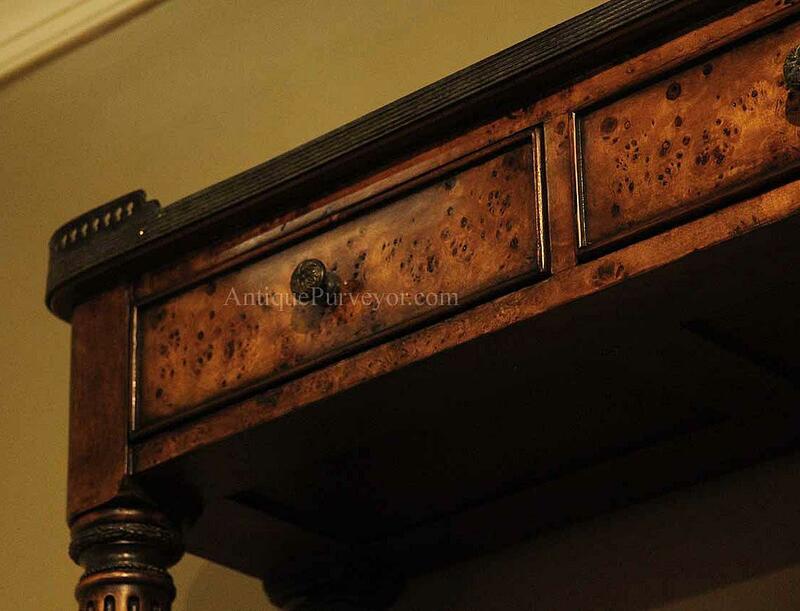 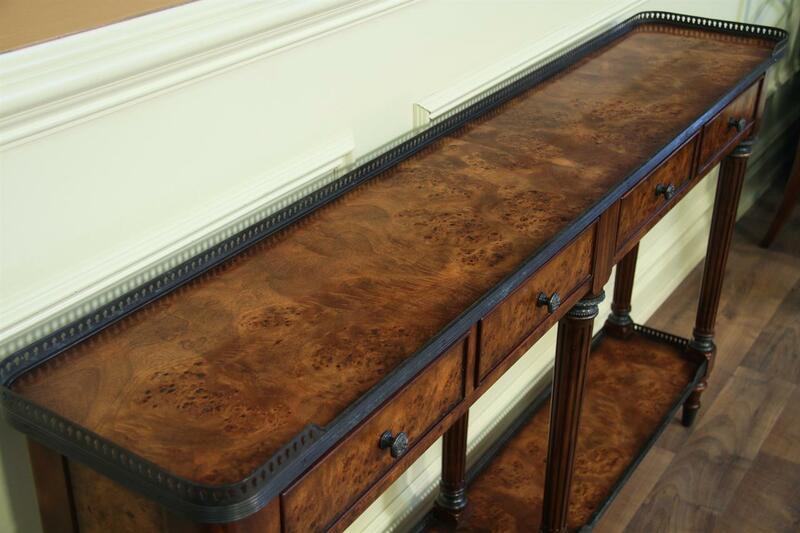 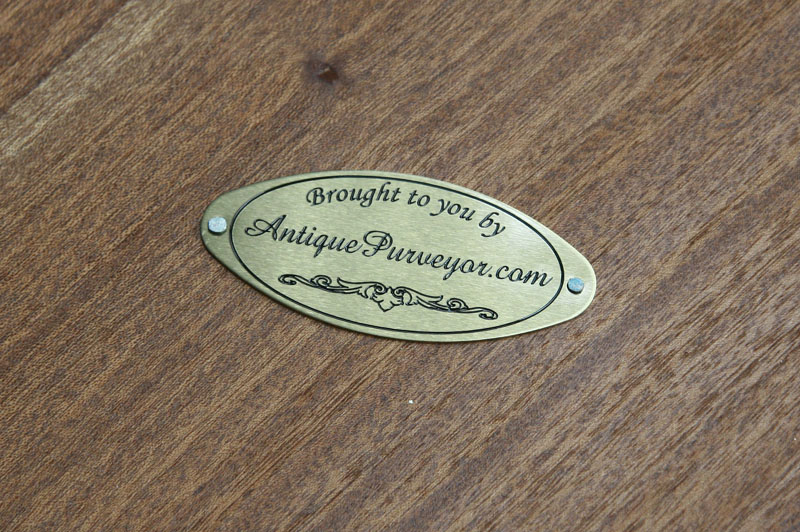 Detailed Louis XV antique reproduction console table for the higher end home.